Developers have submitted an outline planning application for 136 new homes, reinstatement of a historic hall site and amenities in a village north east of Lincoln. The proposed development in the village of Sudbrooke, called The Parklands, includes a mix of housing types, containing affordable housing, a pub/restaurant, open spaces and a novel outdoor gym. The application from Jackson and Jackson Developments Ltd follows an 18-month design period which has taken into account discussions with the local and parish council, as well as the local community. It is proposed that the vacant site of Sudbrooke Holme would be sensitively rebuilt from historic photos and original data to provide up to 25 retirement apartments for people aged 55 and over. Developers’ vision for The Parklands in Sudbrooke. The scheme, following comments from members of the local community, includes investment in woodland areas and footpaths, land for community allotments and an outdoor gym by Fresh Air Fitness. The proposal also suggests the demolition of nearby poultry units, reducing unpleasant odours and heavy goods vehicles. 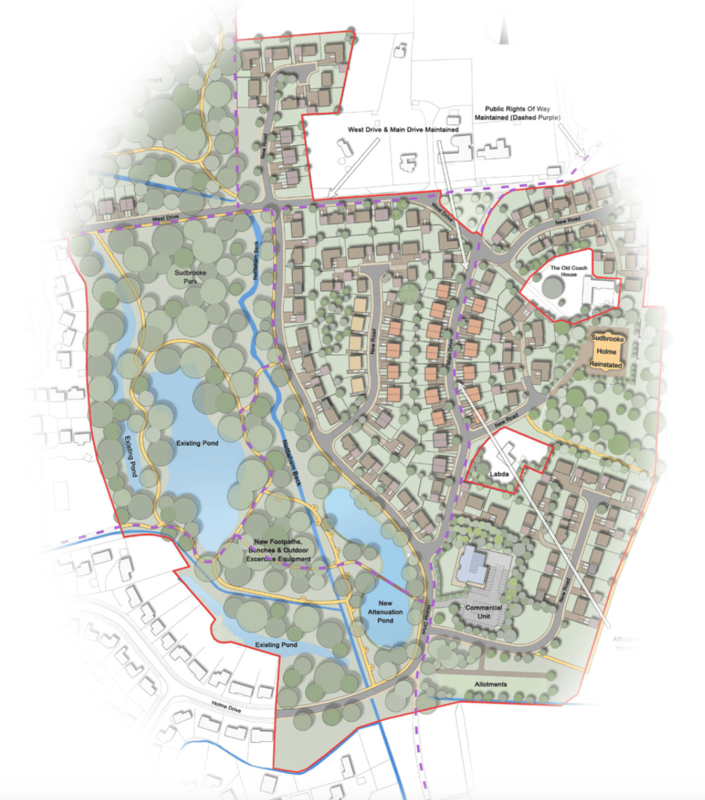 It is anticipated that the development will be linked to an agreement which outlines eligibility preference to local residents or people with connections to the village. The application has been submitted to West Lindsey District Council, with a website developed for people to view related documents. Dominik Jackson of Jackson and Jackson Developments Ltd, said: “The Parklands is an exciting high quality residential opportunity which will deliver a quality new addition to the village of Sudbrooke. “There is a huge amount of inaccessible land being opened up to the public and the new amenities such as the outdoor fitness area and allotments are designed to create new hubs within the community. Jackson and Jackson also submitted in March plans for a 35-home traditional village development in Scothern.